Natalie Shure is the Head of Research for Adam Ruins Everything on TruTV. She writes about health, history and politics for a variety of outlets. 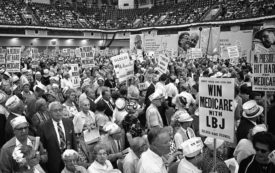 The history of the fight for single-payer health care for the elderly and poor should inform today's movement to win for Medicare for All.